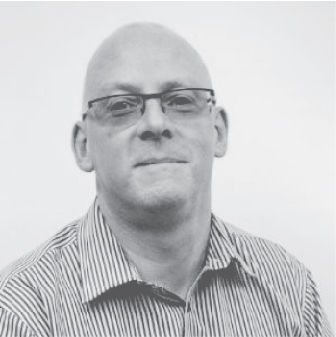 Established in 2015, Starfish People is an engaging and people focussed outsourced HR consultancy. 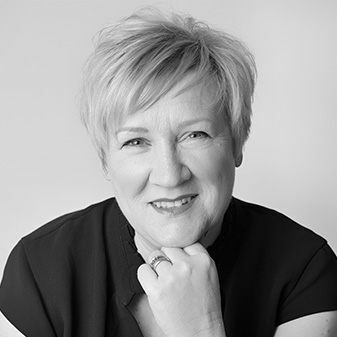 We provide operational HR support to businesses by way of specialist advice, jargon-free and practical HR solutions and business coaching. We aim to make a difference by taking care of our client’s human resource needs allowing our clients time to focus on their business. 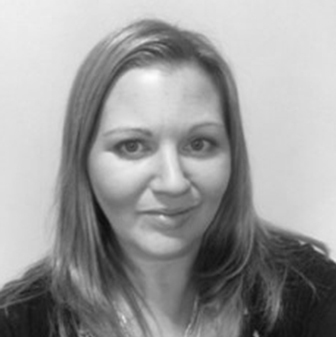 Based near Chichester, West Sussex, Starfish People works with businesses of all sizes all over the UK. Located between Southampton in the west and Brighton in the east with excellent transport links to London and beyond, we’re happy to travel to work closely with each and every one our clients. Through making a difference in the workplace we’re proud of the excellent results we’ve achieved for our broad portfolio of clients. Registered with the Information Commissioner’s Office (ICO) and fully General Data Protection Regulation (GDPR) compliant, we take the data protection of our clients and the service we provide to them very seriously. Our name derives from the Starfish Story, a tale of a man who walked by the seashore and saw a girl throwing starfish back into the ocean. He asked why she was doing it and she replied that, with the sun up and the tide going out, the starfish would soon die if she did not act. Perplexed, the man pointed out that there was a long stretch of beach likely with many starfish and she didn’t stand a chance of helping them all. Smiling, she threw another into the sea and said: “I made a difference to that one”. This story provides tremendous insight and is an astute reminder that we each hold in our hands the power to change a mind, situation or life at any time we please. Starfish People nurtures this innate ability to have a positive impact on the outcome of challenges in the workplace because it’s a precious commodity. We embrace this ethos and for us the reward is in witnessing the change that we make to individuals, teams and large organisations. By making a difference one team member, manager or director at a time, Starfish People ultimately makes a difference to companies as a whole and to as many people as possible. A staple at the Starfish People office, beloved Bella is Head of Security. 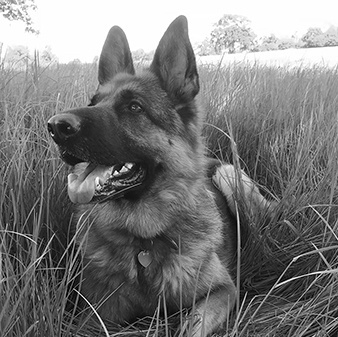 Alert, watchful and loyal – a fine example of the German Shepherd breed with a no-nonsense attitude and natural talent for organising the staff – Bella is a soulful softie at heart. As curious as she is confident and highly intelligent, Bella never misses a trick and could have the makings of a fine human resources professional. She’ll be offering NLP coaching too before we know it! 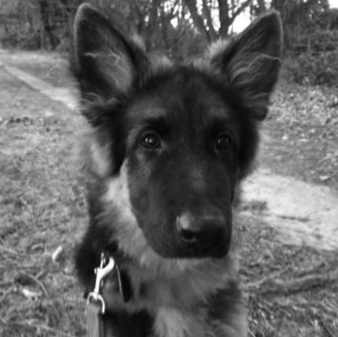 A German Shepherd whippersnapper with as much puppy power as Scrappy-Doo, as well as being our newest recute (sorry! ), Enzo is Head of Employee and Client Welfare. Always entertaining and inquisitive, this little ball of fur can make the most frazzled of us crack a smile. That’s not to say the little chap doesn’t contribute to his own fair share of stress – he’ll gladly chew on any pen or document folder inadvertently dropped on the floor! Excitable but gentle in nature, Enzo is also Front of House Manager. When clients and colleagues come to the Starfish People office they’re sure to be welcomed by a wagging tail and a friendly “Lemme at ’em” attitude. Need a team or leadership coach? By tapping into NLP coaching techniques, we can provide human resources support to boost productivity in individuals for the greater good. We’ll help each employee to recognise their potential and play to their strengths, as a team player and/or a team leader. The success of your business depends on the quality of your staff and, to make sure your machine runs well, you must tend to all the cogs. Starfish People has the skills and know-how to provide the very best human resources support and advice. Need to recruit good employees? 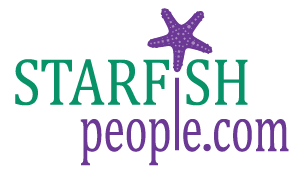 Starfish People will see you employee perfect staff with recruitment and selection services including: job role assessment, DISC profiling, advertising, narrowing down shortlists, support with the interview process and supply documentation.